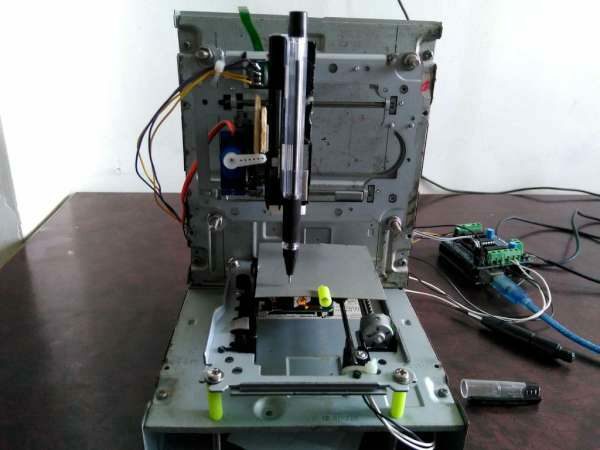 Sandeep_UNO posted detailed instructions of how to make this mini CNC 2D plotter using scrap DVD drive, L293D motor shield and Arduino. This entry was posted on Thursday, August 25th, 2016 at 2:41 am	and is filed under DIY, how-to. You can follow any responses to this entry through the RSS 2.0 feed. You can skip to the end and leave a response. Pinging is currently not allowed.